Whether you want to explore Istanbul, soar over Cappadocia in a hot air balloon, or visit UNESCO World Heritage sites like Ephesus and Pamukkale, the Fez Pass has you covered. Each pass includes up to six tours of Turkey’s top attractions and is valid for a year. Here are some tips to choose the right pass and make the most of it. The great-value Fez Orange Pass includes five full-day tours, all including hotel pickup, lunch, and entrance fees. Start by taking in Istanbul’s Big 5—Hagia Sophia, the Blue Mosque, Topkapi Palace, the Grand Bazaar, and the Hippodrome. Next, take a swim in the therapeutic hot springs of beautiful Pamukkale, and then enjoy a guided tour of ancient Ephesus and the Temple of Artemis, one of the wonders of the ancient world. Finally, explore the fairy chimneys, underground cities, and traditional villages of Cappadocia on two equally exciting day tours. The Fez Red Pass offers all the same tours as the Orange pass, plus one of Turkey’s most unforgettable experiences: a hot air balloon ride in Cappadocia. Setting off at sunrise, you’ll soar over the dramatic karst landscapes and fairy chimney valleys of Cappadocia and enjoy incredible aerial views. As with all Fez passes, you can enjoy the tours in any order, booking with just 24-hour notice. The Fez Blue Pass includes six full-day tours from three top destinations. After taking in the highlights of Istanbul, spend a day exploring the WWII battlefields and ANZAC memorials of Gallipoli. Continue to Kusadasi, where you can enjoy day trips to Ephesus and Pamukkale, then discover Cappadocia with two separate day tours covering all the main attractions. Enjoy sightseeing at your own pace in Turkey’s top destination with the Fez Red Pass. Explore Istanbul landmarks like the Hagia Sophia on a full-day Istanbul classics tour. Go sightseeing around Kusadasi to the Temple of Artemis, Ephesus, Heirapolis, Pamukkale and more. Enjoy three tours in Cappadocia that include a hot air balloon flight, the Goreme Open Air Museum, Ortahisar Castle, Pigeon Valley and Red Valley. The pass is good for six tours and remains valid for one year, allowing you to book tours at your convenience. See Turkey at your own pace with the flexibility of the Fez Orange Pass. Discover iconic attractions in Istanbul, Cappadocia, Ephesus and Pamukkale as you go sightseeing on five separate full-day tours that can be booked at your convenience over a one-year period. 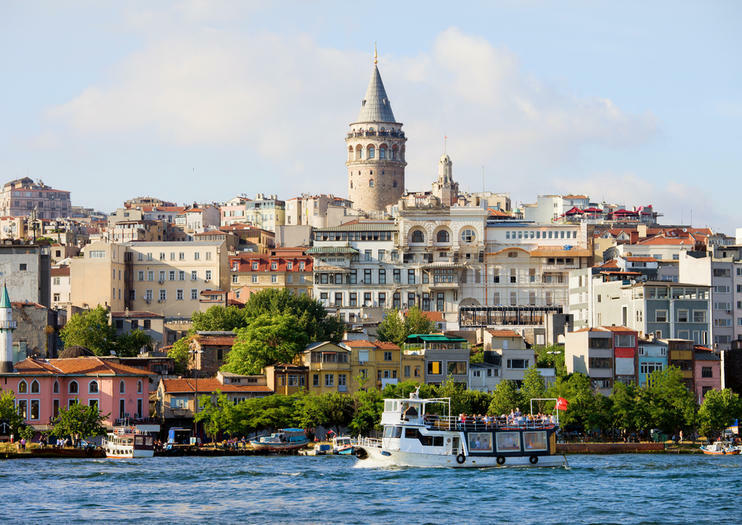 The Istanbul tour takes in top attractions including the Hagia Sophia, Grand Bazaar and Topkapi Palace. In Cappadocia, admire landmarks such as Ortahisar Castle, the Goreme Open Air Museum, Red Valley and Pigeon Valley. From Kusadasi, visit Pamukkale, Heirapolis, Ephesus and the Temple of Artemis. Discover the highlights of Turkey with the Fez Blue Pass, which provides sightseeing tours in Istanbul, Gallipoli, Cappadocia and Kusadasi. See the Hagia Sophia, Grand Bazaar, Topkapi Palace and other top attractions around Istanbul. Take a day trip to Gallipoli to visit landmarks like ANZAC Cove. Head to Kusadasi to take in Pamukkale, Ephesus, Heirapolis and more. Two tours in Cappadociashow you rock formations in Red Valley and Pigeon Valley, Ortahisar Castle, the Goreme Open Air Museum and more. The pass covers six full-day tours for a comprehensive experience.